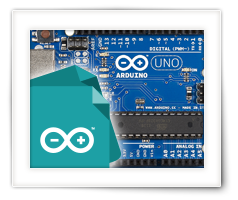 This article just presents the entire content overview of the mini course “Arduino Programming for Beginners” which I wrote for my nephews Bram and Max. Originally I had placed the full overview with each chapter, but since that list became rather long, I decided to only show an overview of a given chapter with that give chapter. So on this page an overview of all chapters and paragraphs of the “course”. 2Which model will we use for Arduino Programming? 3What is an IDE and what is a Compiler? 4How do we setup the Arduino IDE? 3Going through Multiple "if ... then ... else if ..."
1What are Functions and Why do we need them? For the real nice and smooth information here. Thank you very much for the nice compliment – it’s a great motivator to keep writing articles like this! I’m glad to hear it’s been useful to you!